I’ve always been strangely fascinated by Star Trek: Deep Space Nine. Now celebrating its 20th anniversary - amazing how time flies, even when you’re not an agent of the Federation Department of Temporal Investigations - it’s the densest and most mythology-rich of all the Star Trek TV shows. Often ambitious and audacious, it won more battles than it lost and remains a box-set must-own for any card-carrying Starfleet fan. However, it was also paradoxically (at times) the slowest, ugliest SF show on the box. In many ways, DS9 was the anti-TNG. While Star Trek: The Next Generation was shiny, clean and antiseptic - a look exaggerated by JJ Abrams for his lens-flare reboot - DS9 was unapologetically grey and dirty. For this third televised Trek, the show’s producers parked the idea of galactic gallivanting, choosing instead to base their stories on a dilapidated space station at the edge of the Alpha Quadrant. Thanks to a conveniently placed wormhole, aliens would come to DS9 and not vice versa. While series creator Gene Roddenberry famously conceived the original Trek as a SF reworking of vintage western show Wagon Train, Paramount head Brandon Tartikoff declared DS9 more The Rifleman, the story of a man and his son surviving on the wild frontier. DS9 was to debut during the sixth season of TNG, running in tandem with the hit sequel series before taking up the mantle solo. It needed to offer something different, and expectations were high. After a lacklustre first season, TNG had developed into a firm fan favourite. DS9 certainly looked unlike any Trek before it. There was a sludgy, high contrast realism to life on the space station, emphasised by grotty broadcast quality of the show, which like TNG was being edited on video at the time. The original director of photography Marvin Rush, and production designer Herman Zimmerman, revelled in the shadows offered by the utilitarian, militaristic, alien location. The show was to receive multiple Primetime Emmy nominations for its art direction, as well as award noms for cinematography and production design, from the ASC and Art Directors Guild respectively. Ironically, the real beauty of this work is only ever likely to be realised if and when Paramount greenlights an HD remaster. DS9’s choice of principal characters was similarly bold. 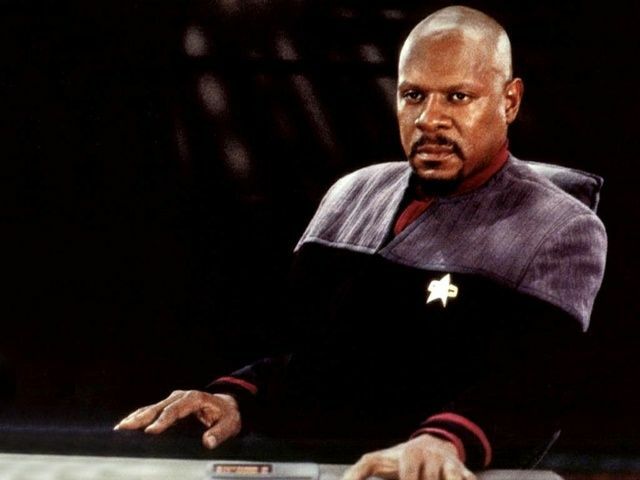 Avery Brooks, as the aloof Federation Commander Benjamin Sisko, Nana Visitor as Bajorian Major Kira Nerys and Rene Auberjonois as shape-shifter Odo were uniquely compelling creations, far from Roddenberry’s heroic archetypes. TNG import Colm Meaney, as Chief Miles O’Brien, quickly established a chemistry with UK thesp Siddig El Fadil (later Alexander Siddig), aka Dr Julian Bashir, while Terry Farrell, as ancient Trill Lieutenant Jadzia Dax, provided the leopard spots. Early plans to lumber the Dutch former model with a prosthetic forehead were thankfully scrapped. Of course, none of the above could compete with a series stealing turn by Armin Shimerman, as the duplicitous Ferengi bar owner Quark. 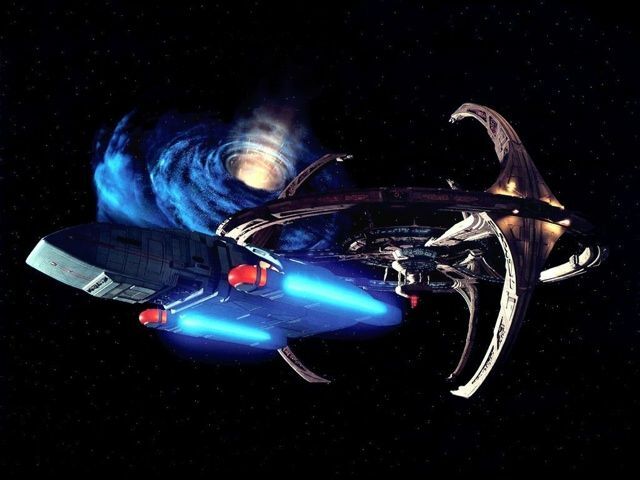 DS9 may have been a conceptual risk, but it hit the ground running. The two-hour pilot Emissary was highest-rated series premiere in US syndication history at the time, bagging an 18.8 per cent audience share. Its first season became a fixture in the syndication charts, pulling a valuable male demographic. As with TNG before it, Season 2 saw DS9 iron out the lumps. Characters grew and the world they inhabited became far more convincing. Resident bad guys the Dominion arrived from the Gamma Quadrant, and gold-pressed latinum liberated from studio coffers meant the set was expanded. Everything began to flow a little better. Most importantly, my favourite character, Cardassian ‘tailor’ Garak began to claim more airtime, as the show’s writers competed to weave intrigue around him. JPL code still running after four decades. How's your Python looking?